Choosing a sofa does not limit to size, price, colour and material, the form and function of the sofa are equally important. In this guide we have explained 14 styles and their defining characteristics from arms to legs. Knowing these styles will help you appreciate great design, brush up on your design vocabulary and tell how different a chesterfield is from a tuxedo just like a pro. And if you're planning to buy one, it's always better to know the different styles so you can pick your favourite and know exactly what you're looking for. 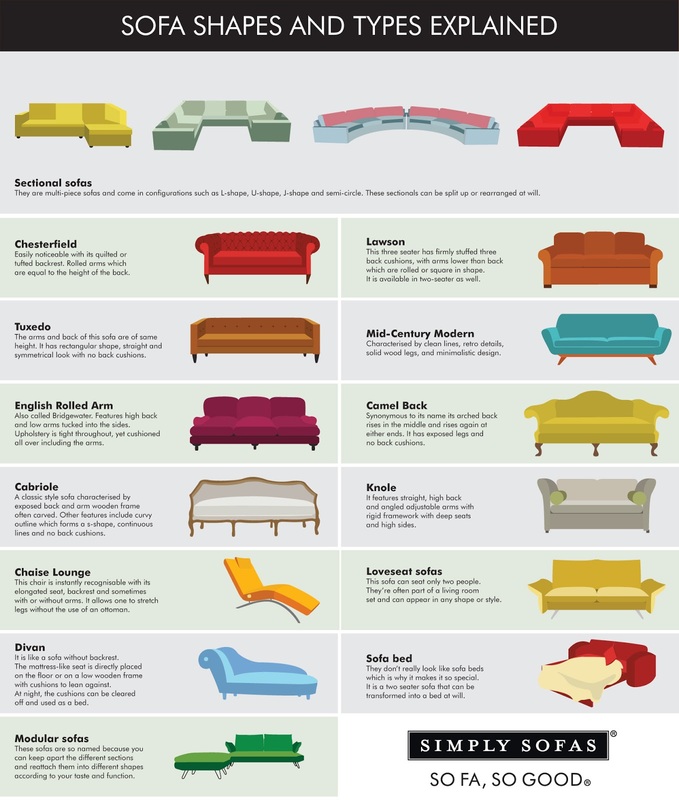 Here are 14 styles of sofas to choose from. The section sofa is a multi-piece sofa. It can be arranged in a number of configurations with many styles, designs and materials depending on your preference. The common configurations are L-shape, U-shape, J-shape and semi-circle. The number of pieces are generally three and five. Suggested for: larger living rooms; great if you like to stretch out. The chesterfield sofa is known for its “quilted” or “tufted” style. Some have tufted design only at the back while some on seating section as well. It continues to be a popular style with current sofa trends. Suggested for: most settings; an iconic design that can be dressed up or down; a traditional look in the living room or study. Firmly stuffed with three back cushions, arms lower than back, the Lawson can either have rolled or square arms. It's often skirted. Designed for comfort, this style’s signature design element has a back which is not upright, but pitched at a very restful angle. A popular sofa design today, the Lawson style sofa is available in many sizes, colours and materials. Suggested for: versatility – can suit a modern or trad scheme; low, boxy arms are great for napping. A Tuxedo can be recognised with its high straight arms in line with streamlined back, often with a single row of tufts and exposed legs. No back cushions. Suggested for: making a style statement; sleek, contemporary interiors. From 1940 to 1970 mid-century modern furniture reigned supreme. This style of sofa is all about minimalist design and clean lines. There are many varieties of this style of sofa. It’s designed to look good and be comfortable. Suggested for: the design-conscious; a retro or Scandinavian-inspired look, style-conscious apartments and young couples. This style of sofa is also called Bridgewater and is known for its low rolled arms in relation to a high back. Upholstery is tight throughout, yet cushioned all over, including the arms. Suggested for: both style and comfort. A classic design this sofa style’s main design feature is a higher back in the centre which descends in a continuous line into the arms of the sofa. It is also recognized for its exposed wooden trim. Suggested for: those who like a firmer back support; suits a more traditional setting. This sofa style’s trademark design element is its continuous, equal-height back and arms. Often the arms curve inwards, creating a long line from arm to arm. Suggested for: smaller living rooms; firm seats are ideal for those needing additional support. A Chaise is a long chair where you can stretch your legs without the use of an ottoman. The back is usually at a semi-reclining angle. A Chaise Longue is also known as 'Chaise Lounge' in North America. Chaise lounges may have an arm while others may have none. It is extremely popular as a patio furniture typically found along pool sides. Suggested for: personal space, stretching legs. The loveseat sofa is an umbrella term for a sofa made for two people. They’re often part of a living room set. Like sofas, loveseats come in many styles and designs such as camelback, cabriole, and the like. The early designs (1800s) of loveseats were not intended to be cosy but rather to accommodate the large dresses worn by ladies of the period. Suggested for: couples; can be handy if space is tight. A divan is a sofa without a back. They require being placed against a bare wall against which you can arrange pillows for a cushioned back. Suggested for: families, relaxing, and living rooms. A sofa that doesn't look like a sofa bed but can be converted into a bed. The functional aspect of it includes that it serves as a space saver. Suggested for: families; space saving; plump cushions and padded arms make it comfy for relaxing. Its distinguished features are straight high back with adjustable arms which can be opened out for naps. The seating has a considerable depth and was used as a throne by royal families. Suggested for: traditional schemes; its lofty proportions are ideal for larger spaces. As opposed to sectional sofas, these are so named because you can take apart the different sections and reattach them into different shapes according to your taste and function. Suggested for: socialising; works well in larger open-plan living spaces, and entertaining spaces. 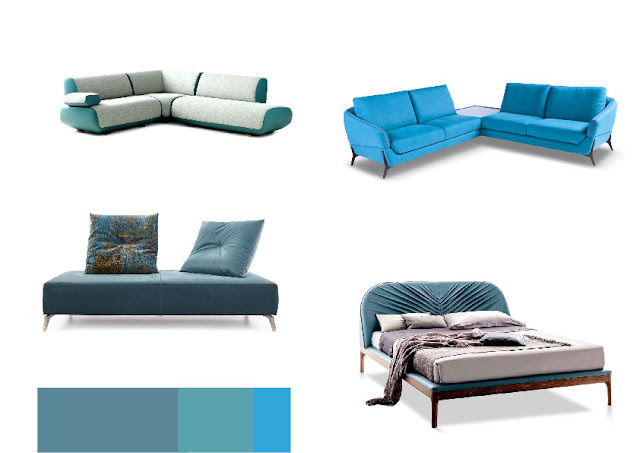 Colour, being the holistic part of the home decor necessitates us to keep a pulse on the latest trending colours. Since we’re a couple of months into the year, a pattern for what trends are going to be in and what interior looks are going to be popular have started to emerge. From Marsala in 2015 and the Rose Quartz-Serenity combo in 2016, Pantone looked to nature for its 2017 trending Colour of the Year, Greenery it is. Drifting towards its obvious connection with nature, the colour has sprung with a hope to bring the regenerating, refreshing, revitalizing, and renewing atmosphere to your decor space. At IMM Cologne 2017, the first interior fair which took place for the year, green was the dominating trend theme in interior design. It made its way big into homes starting from the walls to the carpets. Another leading trade show for the global community of interior designers - Maison et Objet, showcased how green came through quite strong making it certain that this hue is here to stay. As opposed to colour trend forecast from the Pantone, in the fashion world, you’ll see a shift towards bright and active colours not only in few countries but globally. Leading the charge are Niagara, Primrose Yellow and Lapis Blue, followed by Flame and Island Paradise. Ranking sixth through tenth are Pale Dogwood, Greenery, Pink Yarrow, Kale and Hazelnut. As always what we see in the fashion week around the world is replicated and set to drive design trends in home décor, just like how Pantone picks the colour trends from its fashion colour report. Contemplating on the Pantone colour of the year, green reflects the current cultural climate. The colour has already started influencing trends in all facets of design—architecture, interior décor, fashion, and even food. Other trending colours at the two important events that took place during this year are as follows: At Cologne, other emerging colours after green include grey, white, blue, pastel, red, and pink. On the contrary at Maison et Objet, black was everywhere and a strong influence on furniture for 2017. Possibilities of mixing black with any other colour are endless and the effect is always as good as it should be. Other hues include Denim Drift, Indigo, Charcoal, Mocha and Metallics. Here are the colours you’ll most likely see in the year ahead. 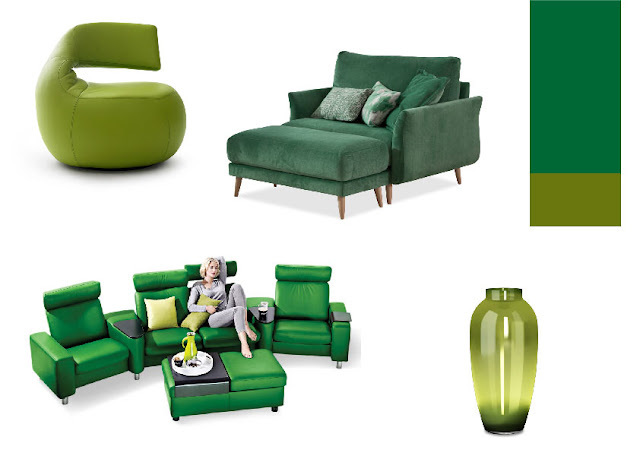 Green: Now that we know green is the Patone colour of the year, get ready to take the plunge and add ‘Greenery’ to your home. This hue works well throughout the home whether it's a wall colour or a room-filling carpet. If you're not too keen on using green in large doses, think about adding it in smaller, quieter ways, by placing a green sofa or through a decorative element such as pillows, curtains, light fixtures and other accessories. The palette lends an outdoor quality to interior spaces, giving them an indoor-outdoor connection. At the very least you can bring in plants into your space, and say you are on trend. Embrace this colour to your homes by mixing and matching and at the end of it you’ll have a vibrant, relaxing oasis or an energising happy space within your four walls. Other shades of green with which you can explore, experiment and reinvent include- kale, tangy yellow-green, olive green, deep emerald green, apple green or grass-toned colour. Grey was a prominent colour in 2016 interiors and it will continue to reign in 2017 with different tones from light to deep. 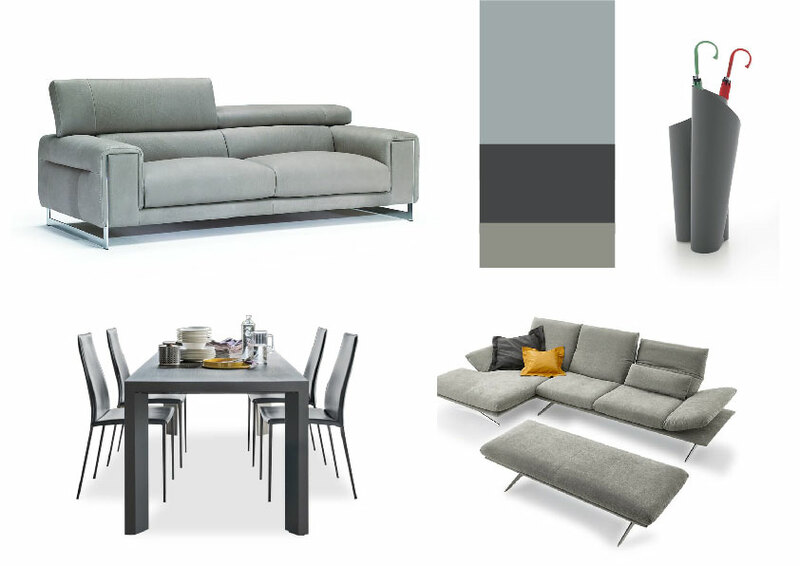 This year you will see grey with different names – soft grey, mineral grey, poised taupe. A timeless, calm and composed colour it creates a clean, crisp look. The best way to highlight traditional style and accentuate it is to paint your interiors with a rich shade of dark grey. It complements the tones of wood and ebony highlighting what you want to show off the most. Grey can also be paired with blues or blacks to bring a strong, industrial character or pastels for a more subtle feel. Pair this colour with darker shades or instead brighter accents as well – think deep ebony, coral, greenery or vibrant red. Combine it with different furniture pieces like a sofa or a rug to bring a touch of sobriety and even class to the room decoration. Taupe and earthy green can be used to create a calming earthy feel to your home. The colours are great when combined with furniture making it look traditional and elegant at the same time. With Violets brighter colours make a return into the living spaces for the year. The great thing about such a sickly-sweet violet shade is that you don’t need too much of it for it to make an impact and you can add lilac to your home in the form of accessories like vases, cushions and candles to create the desired effect. 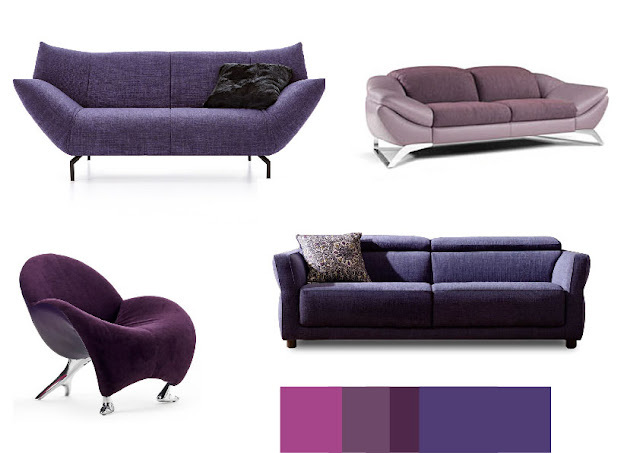 Popular variations include violet, wine and true purple. It's a moody purple yet much lighter in value – in line with the growing presence of lilac across interiors –, and again there is a focus on duality in this colour: it has a nostalgic, spiritual side while also being luxurious and contemporary; it brings together masculine and feminine, warm and cold. Yellow in shades of sunshine yellow, honey yellow, dusted yellow, daffodils, dandelions, and sunflower tones are about to make a big comeback. 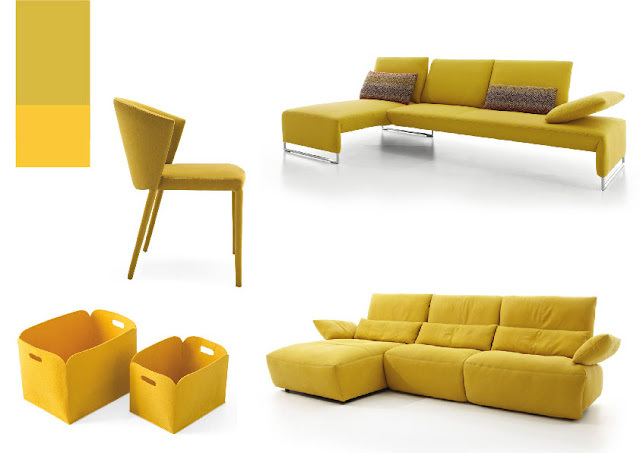 Yellows brighten up homes, so start introducing it in the living space with accessories. Bright accent pieces in colours like a soft yellow console help energize spaces with dull muted walls. Go for everything from mustard tones to zesty lemon shades, to introduce a little sunshine back to your life. Bright colours are combined with neutrals and dark hues to create an elegant space, try a yellow sofa and it will lighten up your living room. If you think that this colour is too strong to be used on a large design piece, you can always choose a smaller one to complete the room decoration. Blue doesn't have to be a bad thing. Dusky blue, intends to recall the colours and depth of the ocean and is a composed and confident colour. If you're looking to take your first big risk with colour? Traditional shades of summer like aqua feel sophisticated and look great when contrasted with dark colours and bold textures. This formal colour is a great option to be used on upholstery pieces, like a velvet sofa. Fresh and versatile, this is a colour that can be safely applied wall-to-ceiling and still please the eye – and the mind. If it is a darker shade, it can create a beautiful room decoration if you combine it with a white ceiling. Then, you can complete the room design with neutral tones furniture, like grey and beige. The best of all recalls the colours of the ocean, brings comfort and creates a welcoming room decoration in home interiors. Pastel Pink, is a feminine shade that accentuates a space's natural light and brings the warmth of colour into your home. In the living room, a pastel pink sofa will create a soft focal point that can make anyone fall in love. 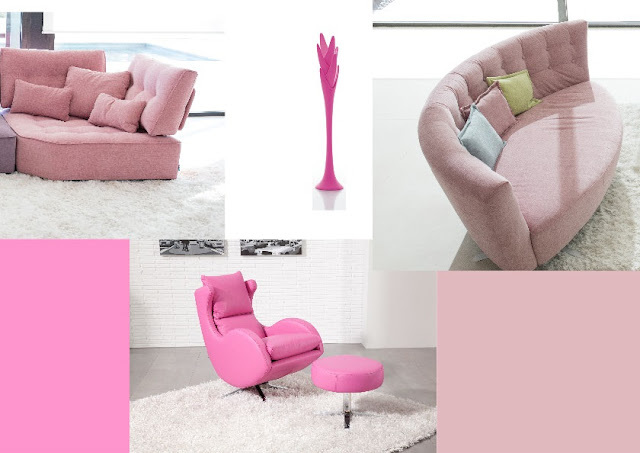 A chaise lounge in this pastel tone can be the perfect way to bring a pop of colour inside a neutral tone living room. It’s impossible to resist to use this colour trend, even if it’s on small detail in the room decoration. Since pastel pink is such a feminine color, you can use it to create home interiors with a touch of romanticism and class. You’ll continue to see soft tones of pink of the trendiest home interiors throughout the year. Based on the indicators so far, these are colours which promise to be important this year, however, developments at the Milan Design Fair often take things in exciting new directions, so stay tuned for our post-fair update. Visit http://www.simplysofas.in/MDW for LIVE updates on trends from Milan as it happens.